In a binding decision, PAC 14-015, published on November 25, 2014, the Public Access Counselor (PAC) found the Village of Winnetka in violation of FOIA after the Village denied a request that asked for a copy of a Village employee's employment application and resume. The Village denied the request and cited FOIA exemptions, including under section 7(1)(c) of the Act. It is important for public bodies to be aware that the personal privacy exemption under section 7(1)(c) requires the balancing of four factors to determine whether an individual's privacy interests outweigh the interests of the public in disclosure. William Buell submitted a FOIA request to the Village seeking "a copy of the completed employment application and resume for James Bernahl for the position of Assistant Director of Public Works and Engineering." The Village denied Buell's FOIA request and cited FOIA exemptions, including section 7(1)(c). Buell filed a Request for Review with the Public Access Bureau that expressed concern that Bernahl's hiring may have been in violation of Illinois law. Under section 7(1)(c), the Village argued that Bernahl's employment application and resume were exempt because the employment history and other information in the resume and employment application did not pertain to the public duties of public employees. The Village cited several cases in its argument, but those cases interpreted an earlier version of the personal privacy exemption. Prior to January 1, 2010, the personal privacy exemption was found in section 7(1)(b) of FOIA and exempted the disclosure information that would be considered an invasion of personal privacy. However, the Illinois General Assembly enacted Public Act 96-542, effective January 1, 2010, that replaced former section 7(1)(b) with the current section 7(1)(c). Under section 7(1)(c), records are no longer considered exempt simply because they are maintained in a personnel file. A public body must release records containing personal information regarding its officers and employees unless it determines that "the subject's right to privacy outweighs any legitimate public interest in obtaining the information." There is a balancing test that requires public bodies to balance the privacy rights of an employee and the interests of the public in obtaining information concerning an employee. Public bodies must consider four factors before releasing information concerning an employee and the PAC analyzed each factor. Buell requested the employment application and resume to determine whether Bernahl's hiring complied with State laws that require municipal managers to make appointments based on "merit and fitness" and that give preference to veterans. The PAC reasoned the general public has an interest in accessing information that demonstrates that the hiring of public employees complies with State law. Furthermore, there is a compelling public interest in disclosure of a public employee's credentials to enable the public to assess the employee's qualifications to perform his or her public duties. The PAC stated the employment application and resume contained personal information concerning Bernahl's education, training, skills, certifications, and employment history. The information was favorable and not embarrassing or potentially damaging to Bernahl's reputation. Moreover, salary information in the employment application reflected payments of public funds that Bernahl received for employment in the public sector. This information would be subject to disclosure. As to the fourth factor, the PAC stated it was unclear whether some or all of the information could be obtained from other sources. To obtain the information, Buell would have needed to contact several sources. It appeared that the information Bernahl supplied to the Village was the most complete and up to date source. Taking all four factors into account, the PAC found that the public interest in disclosure of Bernahl's resume and employment application outweighed his privacy interests. In addition to 7(1)(c), the Village also argued that the employment application and resume were exempt under section 7(1)(f), as "inter- and intra-agency predecisional and deliberative material" because the Village used the documents to consider which employee to hire for the position. This exemption was designed to protect the communications process and encourage open discussion among agency employees before a final decision is made. The exemption does not typically justify withholding purely factual information. The PAC found that this exemption did not apply because the employment application and resume contained exclusively factual information concerning Bernahl's background and qualifications for employment. Lastly, the Village argued that the documents contained certain personal information, such as Bernahl's home address, home phone number, e-mail address, and signature, that fell within the "private information" exemption under 7(1)(b) of FOIA. The PAC agreed and said before the employment application and resume could be released, the Village should redact Bernahl's private information and signature. It is important for public bodies to be aware that the personal privacy exemption under section 7(1)(c) requires the balancing of the public's interest in disclosure of specific information against the individual's interest in privacy. The exemption under section 7(1)(c) is available only if the individual's privacy interests outweigh the interests of the public in disclosure. A public body should balance the four factors to determine whether an individual's privacy interests outweigh the interests of the public in disclosure. Before releasing an employment application or resume, public bodies should redact private information, such as home addresses, phone numbers, e-mail addresses, and signatures. HB 3796 (PA-98-1129) will help ease the burden on public bodies when responding to large Freedom of Information Act (FOIA) requests and will allow requesters to be directed to websites for information already posted online. Originally introduced in January of 2014, House Bill 3796 (Rep. Currie/Sen. Hastings) amends FOIA by establishing a definition of a "voluminous request" and allowing a public body to respond to a voluminous request in the same manner as when responding to a recurrent requester. The bill states that a public body is not required to copy and make available for public inspection a public record that is published on the public body's website, unless the requester does not have reasonable electronic access. In June, the bill was vetoed by the Governor. However, the House overrode the veto with a vote of 76-36 on November 19, 2014 and the Senate followed suit on December 3, 2014 with a vote of 39-13. Other important provisions amend the traditional response time that a public body has to respond to a voluminous request. A public body shall respond to a voluminous request within 5 days after receipt. A public body shall provide a person making a voluminous request 10 business days from the date the public body's response is sent to amend the request in such a way that the public body will no longer treat the request as voluminous. If the request continues to be voluminous or the requester fails to respond, the public body shall respond within the earlier of 5 business days after it receives the response or 5 business days after the final day for the requester to respond to the public body's notification. 5 ILCS 140/3.6(a)-(d). The requester has a right to file an appeal to the PAC if they believe the request was wrongfully classified as a voluminous request. 5 ILCS 140/9.5(b-5). The bill also allows the public body to charge certain fees when responding to a voluminous request. When a person requests a copy of a record maintained in an electronic format, the public body shall furnish it in the electronic format specified by the requester if feasible. If the records are not in a portable document format (PDF) the public body can charge up to between $20.00 and $100.00 depending upon the megabytes of data required. If the public body imposes a fee, it must provide the requester with an accounting of all fees, costs and personnel hours in connection with the request for public records. 5 ILCS 140/6(a-5). If the records cannot be produced in an electronic format, the public body may only charge the requester for the actual cost of purchasing the recording medium. A public body may also charge up to $10 for each hour spent by personnel in searching for and retrieving a requested record or examining the record for necessary redactions. 5 ILCS 140/6(f). Prior to HB 3796, if a requester asked for information that was posted online (budgets and ordinances, for example) the public body was still obligated to provide copies in order to satisfy the FOIA request. Now, for information posted online, the public body can direct the requester to the website where the records can be viewed. 5 ILCS 140/8.5(a). If the requester does not have reasonable access to the online record, then the request can be re-submitted asking for inspections or copies of the records. 5 ILCS 140/8.5(b). 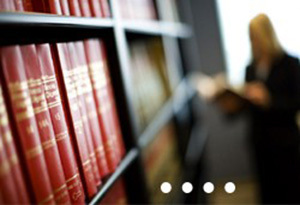 Our attorneys frequently work with their clients to review and respond to FOIA requests. If you would like additional information on FOIA policies or procedures, contact any of the attorneys in Heyl Royster's Governmental Practice. The possibility of sensitive information being disclosed to a sheriff's teenage son became a highly controversial issue in DuPage County in the case of Better Government Association v. Zaruba, 2014 IL App (2d) 140071. In that case, the Better Government Association (BGA) requested records that would disclose the vehicles and persons who were subject to the Law Enforcement Agencies Data System (LEADS) inquiries allegedly conducted by the DuPage County Sheriff's son. At age 17, Patrick Zaruba was given access to LEADS, which could have allowed him to view information about licensed drivers in Illinois as well as sensitive information about crime related matters, including gang activity and stolen vehicles. For a number of reasons outlined below, the Second District Appellate Court held that Sheriff Zaruba did not have to comply with the requests. The BGA sought copies of documents relating to Patrick Zaruba's access to LEADS, copies of documents that showed the names of persons who were certified to access the LEADS system, and copies of documents that showed all written communication between the Illinois State Police and the DuPage County Sheriff's office relating to LEADS and/or Patrick Zaruba. Sheriff Zaruba responded that he was unable to supply any information that would be responsive to the FOIA request because LEADS is controlled by the Illinois State Police. The Sheriff's office did supply copies of an agreement between the Illinois Department of State Police and the DuPage County Sheriff's office regarding LEADS access and Patrick's certificate of completion for a course entitled "LEADS Less Than Full Access." The Sheriff insisted that he would breach the agreement with the Illinois State Police if he provided the requested records to BGA. In addition, the Sheriff claimed that he could not provide the requested information to BGA without intentionally violating the Illinois Administrative Code thereby subjecting himself to potential suspension of LEADS services. As a final point, Sheriff Zaruba contended that there was no evidence that Patrick used the LEADS system and that Patrick's access to the system was never restricted or suspended due to any violation. In his response, Sheriff relied exclusively on section 7(1)(a) of the FOIA, which exempts from disclosure "[i]nformation specifically prohibited from disclosure by federal or State law or rules and regulations implementing federal or State law." 5 ILCS 140/7(1)(a). The trial court dismissed the complaint, concluding that the information was exempt from disclosure under section 7(1)(a) of the FOIA, and that a FOIA response to BGA's inquires was not possible. The Second District agreed and held that the state regulations prohibit any disclosure of information relating to LEADS, including inquires performed by LEADS users. While many FOIA exemptions are specifically stated in the Act, the exemptions that fall within 7(1)(A) require the responder to have an idea of what other federal or state laws provide for. Common scenarios where other laws exempt disclosure involve individuals under the age of 18 or medical information. If you have any questions regarding the interpretation of FOIA or how to respond to a FOIA request, contact any of Heyl Royster's Governmental Practice attorneys.